Here we go. 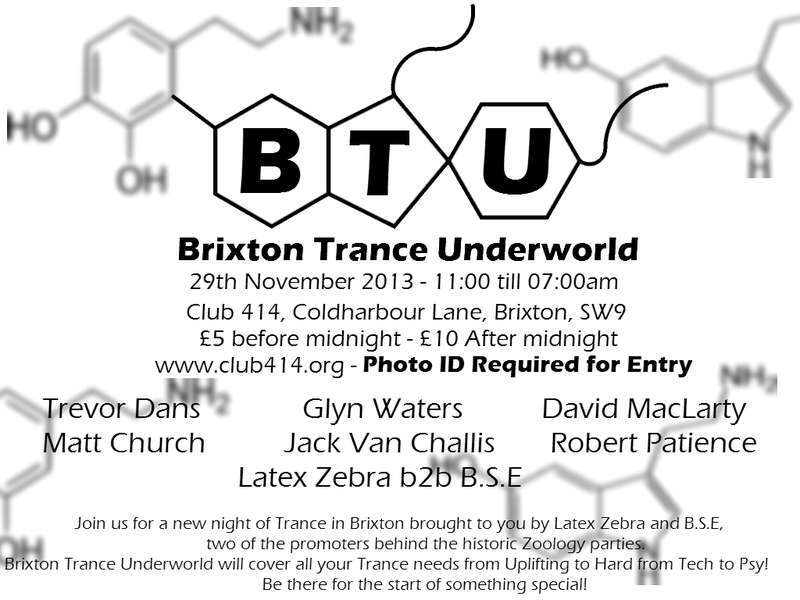 The birth of a new Trance night hosted by two of the promoters behind the historic Zoology nights. With, as you would expect, a selection of DJs both up and coming and established. 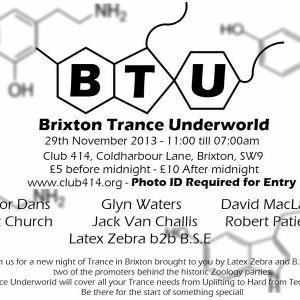 Expect all kinds of Trancey goodness within the intimate lunacy of the famous Club 414. You will need to bring some form of ID with you. Directions: Come out of Brixton tube station and turn left. Walk100 yards till you see KFC on your left. Turn left and walk 100 yards. You have reached your destination.